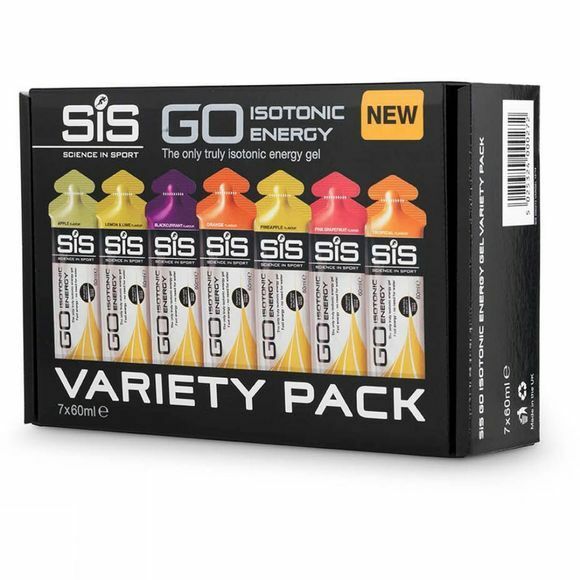 The Go Isotonic Gel Variety pack is ideal for those looking for the right flavour on the go. The SiS Go Isotonic Gel was the world's first isotonic gel effectively delivering an easily digestible and quick supply of carbohydrate for energy during exercise. The Gels are designed to be consumed without water meaning that you can ensure rapid delivery of carbohydrate to your muscles. Includes 7 x Go Isotonic Gel 60ml: Apple, Lemon & Lime, Blackcurrant, Orange, Pineapple, Pink Grapefruit & Tropical.